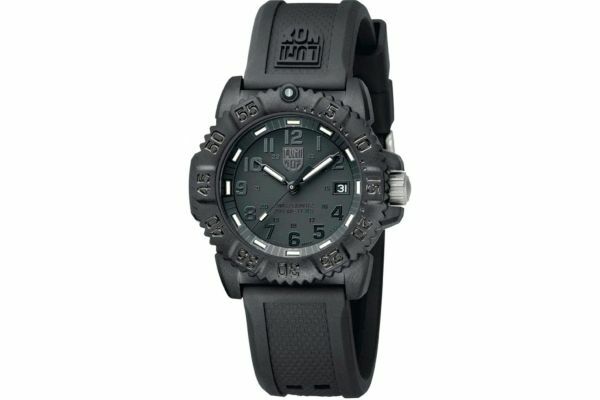 The Luminox Navy Seal Colourmark 38mm 7050 Series offers up the XS.7051.BO.1. With the classic black rubber Luminox strap and carbon reinforced casing, this lightweight yet hard wearing piece is perfect for wear outdoors and in. With fantastic luminous properties on the dial and a 200 metre water resistance, the 7051 is perfect for deep sea diving. The wearer can be assured of accuracy and quality with a Swiss made quartz movement and 2 year guarantee. 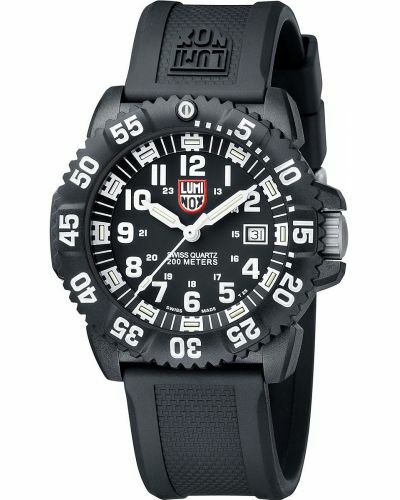 For us to size your new Luminox 7050 Series watch as accurately as possible, please take a look at our downloadable Watch Sizing Guide.